I have been so lucky this past year to spend some time with a few of the people who created Zootopia. This movie didn’t happen over night. Hours and hours (and hours) of research went into the making of this Zootopia world and I am so happy to have watched it succeed at the box office. I am so thankful for the time that I have spent in LA meeting with and interviewing the awesome team behind this film. I was able to sketch a Judy Hopps with Art Director Cory Loftis and I also had the chance to sketch Clawhauser with Directory Byron Howard. Then there was my sloooooooow interview with Flash and Raymond Persi. 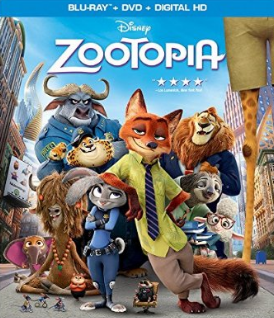 My sit down interview with animators Renato dos Anjos and Chad Sellers was a great peek into the research that went into this movie and my interview with producer Clark Spencer along with directors Rich Moore and Byron Howard confirmed for me that there is a reason that this wonderful world of Zootopia is already so loved and collected. We also had the chance to spend some time in the recording studio at Disneytoon studios. I LOVE this part, and always enjoy seeing the process and reminding myself of just how easy it isn’t! Paul McGrath, a Dialogue Mixer at Walt Disney Animation Studios guided us through the process and helped us create some pretty amazing recordings. I love how mine turned out, and trust me – it has VERY little to do with me and a lot to do with Paul. Time at Disneytoon Studios today trying my hand (voice) at voicing Fru Fru (the adorable artic shrew) from #Zootopia … said in my very best little whiny angry yet adorable shrew voice! What do you think? Do I make an ok Fru Fru? It was SO much fun and this little character is just too adorable!! ZOOTOPIA is available on Blu-ray and DVD TODAY! Remember! ZOOTOPIA is available NOW on Blu-ray and DVD!